We enjoyed the first three days of the summer school: we thank all lecturers for the great discussions, for instance on Netcentric Design vs Command and Control with Jeroen Wolbers and Kees Boersma and on the Challenges of Humanitarian Logistics with Luk Van Wassenhove. As usual, interactive elements are important to us, and shaping research questions in student panel sessions on Humanitarian Logistics, Information Management and Coordination were part of the program.First gaming experiences were provided by COBACORE game and the TNO group around Josine van de Ven. However, as clouds are gathering over Belgium, we asked the students to prepare for a 'Storm over Vesta', including input on Technology for coordination by Alex Sirky (Albi, France) and Jaziar Randiati (UiA, Norway) on the Smart Rescue App for evacuation. Now, we are looking forward to meeting the speakers for next week: Andrej Verity, Gisli Olafsson, Sjaak Seen, Geert Gijs, Jennifer Chan, and Justine Mackinnon who will provide insights on the practice of humanitarian response. At the same time, technology developers such as Anne-Marie Barthe-Delanoë and Ole-Christoffer Granmo will discuss some of the latest developments of research in crisis management. The DRL team is looking forward to exciting days - let the games begin! First official sponsor of the 2014 ISCRAM Summer School! In an augmented reality game, such as the game we play at the Summer School, users learn as they play, but it is important to manage and steer the learning process. We are very happy that Josine van de Ven and the Value Center for Applied Games (VAG), not only contribute financially, but support the development and evaluation of the summer school game. We are happy to announce that Bert will coordinate and design the Practitioners' Days at the Summer School. My passion is connecting people and connecting worlds. I try to build bridges between the Fire Service and different partners. I also connect academics, practitioners and developers and try to gain new insights by working and thinking out of the box. I volunteer in different organizations that are active in building those bridges in crisis- and disaster management and that help me explore the new concept of Crisis Intelligence: Stand by Task Force, Critical Interactive Processes-institute and Disaster Resilience Lab. Interested in joining us August 18-20 at Campus Vesta in Ranst, Belgium? Send an email to summerschool@disasterlab.org for more information. Abstract: Scenarios are designed to support decision-makers in gaining a better understanding of the consequences of decisions. Despite their popularity in IT for Foresight, a major obstacle is the complexity of strategic decisions and the resulting multitude of scenarios. Therefore choices need to be made, which scenarios to fully work out, by which experts and in which level of detail. This paper presents an approach to support making these trade-offs between accuracy and resources spent by prioritising scenarios based on their significance for the decision even on the basis of incomplete information. This approach combines theoretical findings in decision theory with results that were elicited in interviews and workshops with decision-makers and experts. In this manner, we ensure to adhere to time and effort constraints of the involved experts, while taking into account the decision-makers' preferences and requirements. The emergency management use-case shows that the resulting reduced set of scenarios leads to the same ranking of decision alternatives as the entire set of scenarios. As we are still working on the analysis of interviews and massive amounts of data collected, we are getting ready for the first presentations to our Crowd Funders. Tina and Bartel will present first insights from the DRL work on March 25, 2014, in a workshop of the I-ESA Conference in Albi, France. Thanks to Frédérick Benaben and Matthieu Lauras, who were among our earliest supporters, reaching out to us, while the field team was still in the IHP camp in Tacloban. Kenny will participate on April 9, 2014, in a workshop during the Dutch Emergency Conference discussing what Europe can learn from disasters in the Philippines and elsewhere. Thanks to Jan Otten! DRL Workshop: Improving Disaster Resilience?! For the team of the Disaster Resilience Lab the opportunity to conduct field research on site has resulted in a unique collection of data and interviews that we are now evaluating and analysing together. During our workshop at Tilburg University, the whole team will come together to hands on work with the data and develop dissemination and exploitation strategies. We will explore the most important leads and questions that arised during our field trip around sensemaking and decision support. Each of us brings in a very different expertise, background and research interest, creating a truely interdisciplinary atmosphere. Questions will entail research methodologies and generalisability of data collected in the field; engagement vs. neutrality of research; data analysis and statistics; risk perception and management; teaching and training. According to the recent UN hunger report, the State of Food Insecurity in the World 2013, there are more than 840 million people suffering from hunger. To a great extent, theser are family farmers, fishers and others whose livelihood depends on small farms. The DRLab team is happy to join the discussions how resilient livelihoods can be built and sustained, particularly in the aftermath of a disaster. Special guest is Gerda Verburg, Netherlands Ambassador to FAO (Food and Agriculture Organization), WFP (World Food Programme) and IFAD (International Fund to Agricultural Development). Gerda Verburg will give a lecture on her work for the UN Committee on World Food Security, of which she recently became Chair. Prof. Hein Fleuren will present his work for WFP on the need for optimisation in humanitarian logistics. For the DRL team, it will be the first opportunity to present and discuss some of the insights we gained during our research in the Philippines. 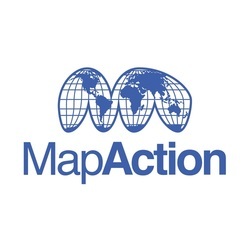 We will focus on information systems bridging the gap between the local population, and the globalised relief efforts; the transition from relief to recovery; and the need for efficient and effective humanitarian logistics that enables communities to re-establish their livelihoods and local markets. Today, the crowdfunding initiative started by our friend and city of Antwerp fire commander Bert Brugghemans closed. The DRL team is extremely happy with the amazing final result: 3,394 Euro has been contributed by 44 different people and organisations from Europe, the USA and Australia. Thank you to our supporters for each and every contribution to help us with our field research ! We will keep working on the data we collected and provide priority access to our findings to you. For those of you, who booked a webinar or an interaction with a team, we will contact you shortly to make arrangements. On our Events pages, we will keep you all posted about our schedule in the next months. If you missed the final days of crowd funding and still want to engage in an interaction with the team, please contact us at thedisasterresiliencelab@gmail.com. Being back home in Europe, we have started to analyse our interviews, transcribe the audio files we recorded, go through almost 10 GB of video material and sort the more than 1,500 pictures. We will keep you posted about our results and findings on this homepage. While night falls over Europe, the last day of the year in 2013 slowly comes to an end, the Philippines have already started to celebrate 2014. To all those who are still working for the different aid agencies, authorities and institutions, to those who are day by day helping to build houses, re-establish schools, livelihoods and markets: we do hope that you take this night as an opportunity to celebrate and enjoy. From its beginning on, the aim of our work has been to understand the needs of decision-makers in the field, and to help to tailor sensemaking and decision support procedures and tools such that they meet these needs. This ambitious aim requires still a lot of work and effort. Many of you have already contributed by helping us with advice and information, making time for interviews with the team in the field or remotely, or financially by supporting the crowd funding. If you have not already done so, please do consider making a New Year's Donation to the DRLab today so that we can continue our work within the Disaster Resilience Lab. If you are interested in a longer term collaboration and would like to embark with us on this endeavour, please contact us at thedisasterresiliencelab@gmail.com. Leaving Christmas Trees, Chocolates, cold nights, gluehwein and gingerbread behind to go to the Philippines. We prepared for this field trip as good as we could, and again, we would like to say thanks to all the people supporting us by helping us with contacts, being available for interviews and meetings, providing gear and advice, or by supporting us via the crowd funding platform. Following on from a posting by Andrej Verity about the work of the Decision Makers Needs Community of Interest we have decided to test out how much of the information required to answer the key questions identified by Decision Makers in the Workshop Report is available for the current response in the Philippines. Bert Brugghemans set up a crowd funding action for us. The aim of this action is to have a closer look at the impact of the work of the digital humanitarians. How were the analyses of the Standby Task Force for the Philippines used by practitioners in the field? How can we help to further improve their work? We are curious about the results of this initiative, and hope that you will join us and contribute at http://igg.me/at/DRLab/x/5490568. LAMSADE (Laboratoire d'Analyse et Modélisation de Systèmes pour l'Aide à la DEcision) a joint laboratory of Université Paris Dauphine and the CNRS will collaborate with us to support the research in the Philippines. The team at LAMSADE focuses on the design, use and validation of Decision Aids. We have received many supportive message in the past days, very often from practitioners in the field who see the benefit and express the need of having research teams visiting them locally and learn first hand of their challenges. We are also happy to announce that we have two new supporting researchers: Olga Vybornova (UCL) and Bert Bruggemans (the City of Antwerp Fire Service). In its meeting yesterday, the Tilburg University Board decided to support our field trip as well. At times when budgets are increasingly tight, and the traditional funding application processes take too long, we are very happy and grateful that Tilburg University steps up and decides to fund a novel initiative like this. Tilburg University's leitmotiv is 'Understanding Society', and through this project we are happy to contribute to that. Good news! 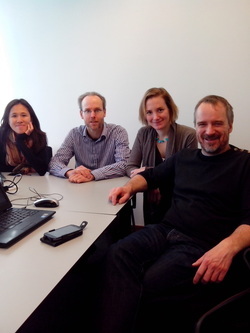 Vito (Flemish Institute for Technology Research) has agreed to support our field trip to the Philippines. We are happy to contribute to Vito's research agenda focusing on the major societal challenges of today and tomorrow. You would like to support us, too? Check the opportunities under Your Share.